Google+ flirted with success about half a decade ago when rival Facebook’s chat feature rarely worked and private messages occasionally appeared on timelines. But that success was short-lived (under a week in my friends group) and the platform has changed pitch a few times since. 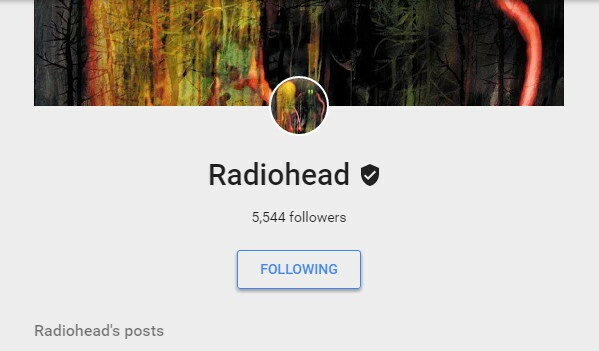 Radiohead has a verified Google+ page. Unlike its Facebook, Twitter, and web pages which at the moment have no posts and white boxes as profile and cover photos, the Radiohead G+ account still has its King of Limbs branding and one post – a photo from 2012. The others have not been deleted; the band simply never put anything else up. You can check the page out here. It is possibly the only Radiohead publication left on the internet right now. 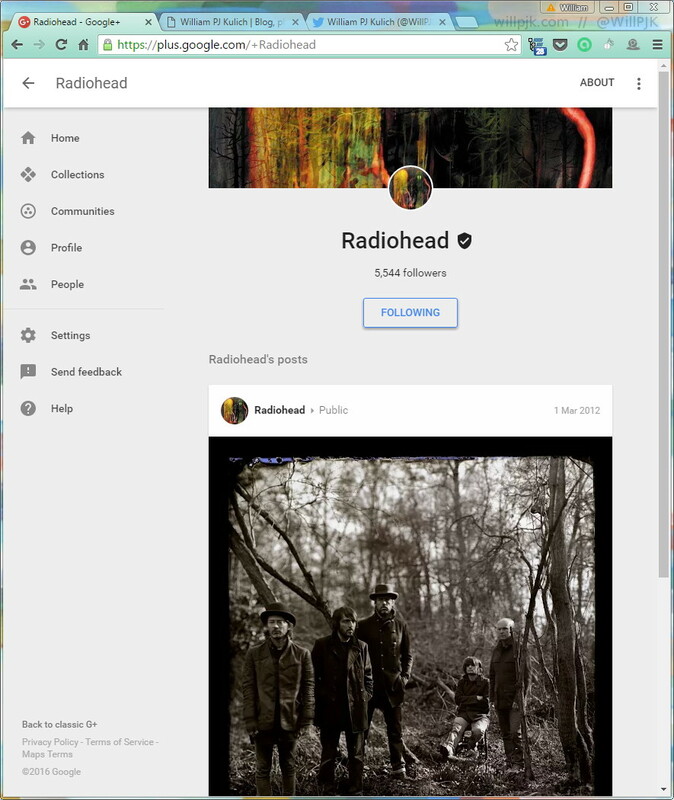 UPDATE (05:00 AEST 2 May 2016): Radiohead on G+ is now dead, long live Radiohead on G+.